Diabetes is a disease in which blood glucose levels are above normal. The body of someone diagnosed with diabetes makes too little insulin or cannot use its own insulin as well as it should, causing sugar to build up in the blood. There are three main types of diabetes: Type 1, Type 2 and gestational (during pregnancy). Type 1 diabetes, once known as juvenile diabetes, is an autoimmune disease that renders one insulin-dependent due to the loss of pancreatic beta cell function. Type 2, the most common, is characterized by insulin resistance, and is a progressive disease. Gestational diabetes is first recognized during pregnancy and is largely due to insulin resistance caused by pregnancy hormones. Diabetes can cause serious health issues, including heart disease, blindness, kidney failure, and lower-extremity amputations. It is the seventh leading cause of death in the United States. 2.7 times as likely to suffer from lower-limb amputations. Diabetes and heart disease are closely connected. Thirty-three percent of African Americans with diabetes also have heart disease. In both male and female diabetics, heart disease leading to a heart attack or stroke is the top cause of death. Adults with diabetes are two to four times more likely to die from heart disease than people without diabetes. Diabetes and heart disease also share the same risk factors, including obesity and high blood pressure (hypertension). Heart disease (or cardiovascular disease) includes numerous conditions that affect the heart and is typically caused by a thinning of the arteries which can result in stroke, heart failure, and heart attack. Heart disease is the number one cause of death in the United States. Diabetes Education and Heart Health classes - Diabetes education classes discuss diabetes prevention and management and are ideal for diabetics and pre-diabetics. Heart health classes discuss how to protect the heart and improve its functions. Both classes emphasize healthy eating and include cooking demonstrations and tastings. 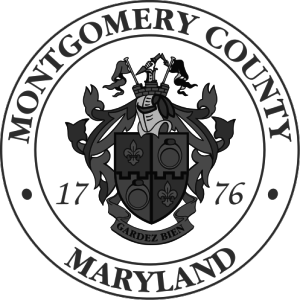 Classes are held throughout Montgomery County multiple days a week. Self-management Counseling - An AAHP Certified Diabetes Educator (CDE) provides one-on-one self-management counseling sessions with clients. During an initial consultation, the CDE discusses with the client his/her needs, knowledge about diabetes, and current treatment plan. The client and CDE then develop, implement, and evaluate an individualized plan of care. Health Screenings - AAHP provides free health screenings for blood glucose, BMI (body mass index), weight, and provides custom referrals and guidance based on results. In addition to health screenings at Diabetes/Heart Health classes and AAHP special events, AAHP also provides health screenings in the community at churches, barber shops, post offices, residential complexes and other such locations as well as locations by request. AAHP also disseminates information about diabetes and heart disease at events throughout Montgomery County such as walks, health fairs and presentations. See our Calendar for more information or call 240-777-1833. "Because there is a history of diabetes in my family, I was not surprised when I was diagnosed with the disease. What surprised me was the amount of time, effort and knowledge needed to manage my condition. Thankfully, I found the perfect partner-AAHP. With their free health education classes and diet and exercise programs, I have found the support and programs I need to help monitor my condition-and live my life with confidence."